Bills running back LeSean McCoy breaks his silence. 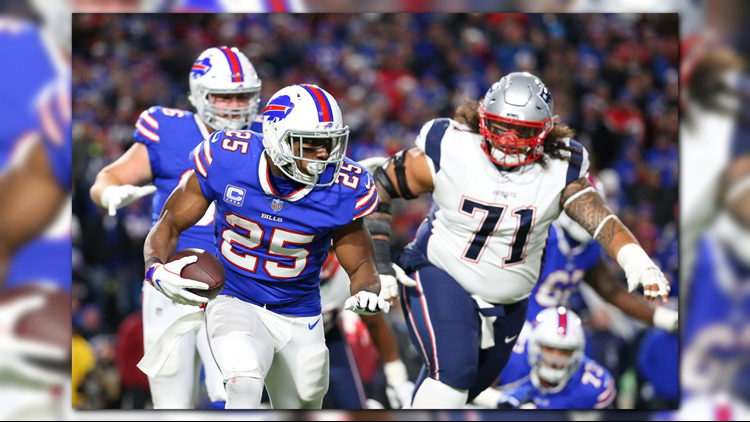 ORCHARD PARK, N.Y. (AP) — Buffalo Bills running back LeSean McCoy ended his near two-week silence by saying he wanted to keep his frustrations to himself in what’s been a miserable season. The comments were the first from McCoy since a 25-6 loss against New England on Oct. 29. He’s ducked interview requests ever since, including canceling his weekly news conferences each of the past two Wednesdays after combining for 23 yards rushing on 22 carries over two games. What bothers him even more is that at 30 , McCoy is beginning to realize he’s running out of time to achieve various objectives. They include winning a championship and establishing himself as one of the NFL’s premier running backs by becoming just the 17th player to reach 12,000 career yards rushing. “Oh, it’ll take a little longer than I expect now,” said McCoy, whose 267 yards rushing this season have upped his career total to 10,359. In getting off to the worst start of a season in his 10-year career, McCoy hasn’t reached the end zone since scoring twice in a 24-17 win over Miami on Dec. 17. And he hasn’t topped 100 yards since finishing with 156 on a snow-covered field in a 13-7 overtime win against Indianapolis on Dec. 10. At the rate the Bills’ anemic offense is producing in having scored an NFL-worst 96 points, McCoy wasn’t making any promises when the droughts might end with Buffalo preparing to play at the New York Jets on Sunday. McCoy didn’t want his frustrations to be interpreted as him being unhappy to still be in Buffalo after the NFL’s trading deadline passed on Oct. 30. And he’s pleased to hear general manager Brandon Beane say McCoy remains in the team’s plans through the final year of his contract next season. Beane told The Associated Press this week he maintains his confidence in McCoy’s ability.